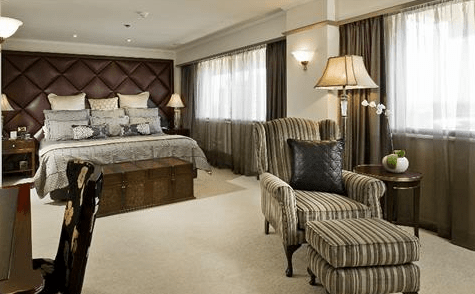 Romantic hotels in Adelaide CBD. 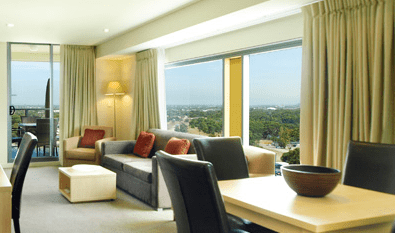 Ideas fot business or romantic getaways in Adelaide, Australia. 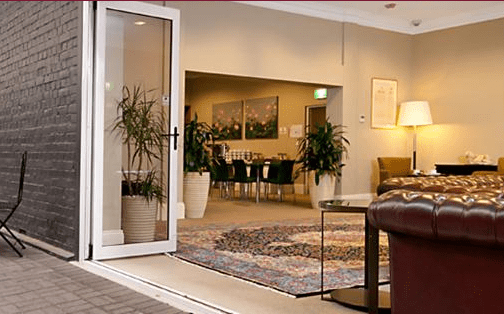 One of the best hotels in Adelaide CBD for business trips or romantic getaways in Adelaide Australia. 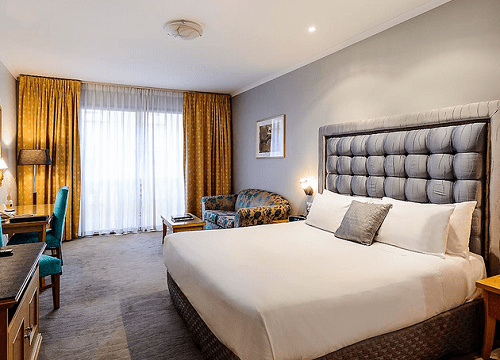 Located opposite the Adelaide Convention Centre in Adelaide’s vibrant West End and surrounded by an array of theatres, restaurants and entertainment, Oaks Embassy is the perfect Adelaide CBD accommodation choice for your next holiday or business trip. Some of the facilities are: kitchen and laundry facilities, cable TV, internet access, air conditioning and more in apartments, indoor heated lap pool, sauna, spa, steam room and fully equipped gymnasium, in-room spa bath and more. One of the spectacular luxury 5 Star hotels in Adelaide CBD, an ideal location for weddings and romantic getaways in Adelaide, Australia. This luxury accommodation in Adelaide CBD is superbly situated in the heart of the city on Adelaide’s key cultural boulevard, North Terrace. Only 10 minutes from the airport and 20 minutes from Adelaide’s premier beachside suburb, Glenelg. Some of the hotel’s features are: luxury guest rooms, diverse restaurants, Cascade Cocktail Lounge, function rooms ideal for small intimate meetings, private events or large conferences, elegant Adelaide wedding reception venues, outdoor rooftop heated pool, spa and gymnasium, 24 hour concierge, room service and front desk, high speed broadband internet access and more. One of the great hotels in Adelaide CBD (Central Business District) for romantic weekend getaways or wedding in Adelaide, Australia. Whether you are here for work or on holiday, this central location puts many of the city’s corporate offices and major attractions at your doorstep. Adelaide Convention Centre, Rundle Mall, the cultural boulevard of North Terrace, and the popular Gouger and Waymouth Street restaurant precincts are all within walking distance of the hotel. You can also easily explore South Australia’s famous Barossa Valley and McLaren Vale wine regions with a daytrip into the picturesque countryside. 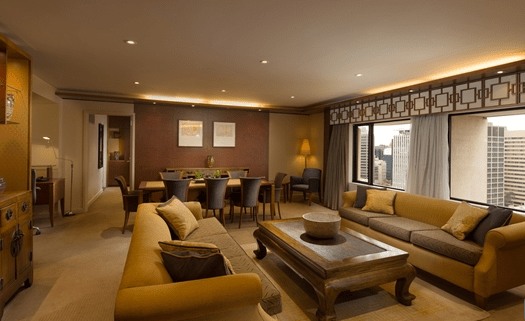 Stylish rooms and suites have been designed with your needs in mind. Comfortable personal space with modern amenities that is ideal for both business and leisure. Ideally situated overlooking Victoria Square, the Hilton Adelaide hotel is one of the memorable hotels in Adelaide CBD, a great location for weekend getaways or breaks . The Central Market, Chinatown and Gouger Street – Adelaide’s most vibrant dining destinations – are just minutes from this Adelaide hotel. Catch a tram from outside the hotel to seaside Glenelg, or along North Terrace to the Casino, the River Precinct, Convention Center and Adelaide Entertainment Centre. The Hilton Adelaide hotel is also conveniently located just four miles from the airport and one mile from the Convention Center. Some of the facilities are: heated outdoor swimming pool with spa, The Collins Bar, Lobby Bar, award-winning restaurant The Brasserie and 24-hour room service, 17 meeting rooms with space for up to 500 residential delegates, 24-hour fitness center with sauna and hot and cold plunge pools and more. 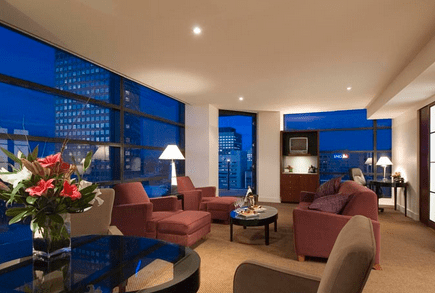 One of the memorable hotels in Adelaide CBD for romantic getaways in Adelaide, Australia. The Adabco Boutique Hotel offers a refreshingly intimate accommodation experience by adding a touch of warmth and style from a bygone era. Nestled amongst the leafy plane trees of Wakefield Street in Adelaide’s east, the Adabco Boutique Hotel is an eclectic mix of old-world charm and modern sophistication hidden behind a rare, heritage-listed Venetian Gothic style façade. Elegance and style lives harmoniously with technology and convenience making the Adabco Boutique Hotel a unique Adelaide CBD accommodation experience. One of the most romantic & boutique hotels in Adelaide CBD for unforgettable getaways in Adelaide, Australia. The Playford Adelaide, a member of the MGallery Collection is a boutique hotel in the heart of Adelaide offering the perfect blend of classical style and contemporary luxury. Located only 9km from Adelaide International Airport the hotel has a stunning Art Nouveau ambience and features beautifully appointed guestrooms and suites luxurious amenities and exquisite cuisine. Ideally situated within close proximity to Adelaide Convention Centre, Adelaide Casino, Adelaide Oval and central business district. One of the best and most romantic boutique hotels in Adelaide CBD for romantic wedding or weekend getaways in Adelaide, Australia.